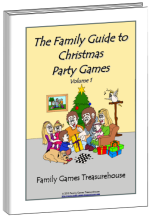 There are many musical party games that can enliven a dull party. Just about everyone loves music and the opportunity to play games to music is almost irresistible. 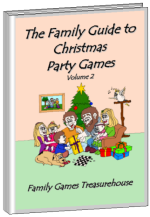 The musical party games listed below are great for children's parties. Some can be used as an icebreaker to get everyone involved and introduce children who may not know each other. 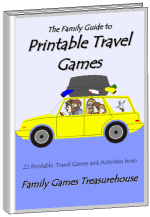 Other games are boisterous activities that can burn off some excess energy while others are quieter games. 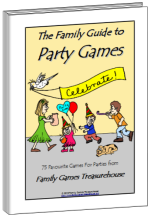 You may also like to check out Preschool Party Games (for 0 to 6 year olds), Childrens Party Games (for 6 to 15 year olds), Teenage Party Games and Outdoor Party Games for some more ideas. Musical Arches is a good icebreaking game to introduce children. Two pairs of players at opposite ends of the room form arches with their arms. When the music starts, the other players form pairs and walk from one arch to the other and back in a circle. When the music stops the arches drop their arms and catch any pairs who are in between their arms. Any pair who is caught form another arch. The last pair caught wins. John Smith is another icebreaking musical party game. The children form two separate circles. One circle contains boys only, with half the boys on the inside facing outwards and the rest on the outside facing inwards. The other circle is similar for the girls. When the music starts, the outer children move clockwise and the inner children move anti-clockwise. When the music stops, the children opposite each other introduce themselves (My name is ...) and then perform the action that an adult suggests (for example; shake hands, hop on one foot, circle each other, etc. Don't make the activity too embarrassing or complicated). The game continues until until most of the children have been introduced. Then form one large circle with the boys on the inside and the girls on the outside so they can be introduced. Musical Chairs is an old favourite musical party game. Two chairs are set up at opposite ends of the room, with a line of chairs facing sideways between them. There should be one chair in the middle for each child. When the music plays the children walk in a large circle around the end chairs. When the music stops, the children try to sit on a chair (not the two end chairs). After one or two practise rounds, one chair is removed from the middle. In each of the following rounds, the child who does not find a chair is out, with another chair removed per round. The last child left wins the game. Reflexes is a fun musical party game where the children get to play the music. An adult (with their back to the children) starts the music while the children stand with one hand in the air. They must try to guess when the music will stop and put down their hand at that time. The child who puts their hand down just before the music stops scores one point while any children with their hands in the air lose one point. 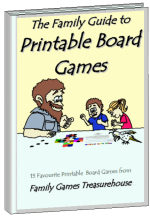 The game continues until one child gets three points. That child then operates the music until another child reaches three points, and so on. Musical Statues combines energetic movement with periods of silence. The children can dance and run around while the music is playing but must remain absolutely still when the music stops. Any child who moves is out for that round. The last player left can operate the music for the next round. Numbers is an interesting musical party game which helps children get to know each other. They move or dance around while the music plays. An adult stops the music and calls out a number from two to five. The children must get into groups of that number. Any children who cannot form a group are out for that round. The last two players left are the winners. Musical Ball doesn't really have anything to do with a musical ball! The children sit in a circle, facing inwards. A ball is passed from child to child as the music plays. Children must pass (not throw) the ball. When the music stops, the child left holding the ball is out and leaves the circle, which moves in to close up the gap. Musical Dice is another wrongly named musical party game since there are no musical dice. Players move around the room until the music stops. They must choose one of the four corners or one of two sides of the room and stand there. Each of the six positions is numbered. A die is thrown and any children in the position corresponding to that number are out. The prisoner stands behind one side of the bridge and the game continues, with prisoners going to alternate sides of the bridge. When the last player is is caught, the two sides then have a tug of war. Players on each side hold the waist of the person in front, with the two arches of London Bridge holding hands until the bridge falls down! Humming does not require any outside music. One player is blindfolded and stands in the middle while the other children form a circle around her and start humming a familiar tune (perhaps "Happy Birthday"). She says "Go!" and the circle rotates clockwise until she says "Stop!". The circle stops moving but the children all keep humming until she points to one child, who must keep humming while the rest become silent. The central player must try to guess the name of the child. If successful, they swap places, otherwise the game continues.